At Alpha Designs we focus on function over form without compromising on design. So we went back to the drawing board and developed the ultimate water bottle. The Alpha Bottle XXL is made from FDA approved 100% food-safe PET plastic, unlike a lot of similar bottles on the market. 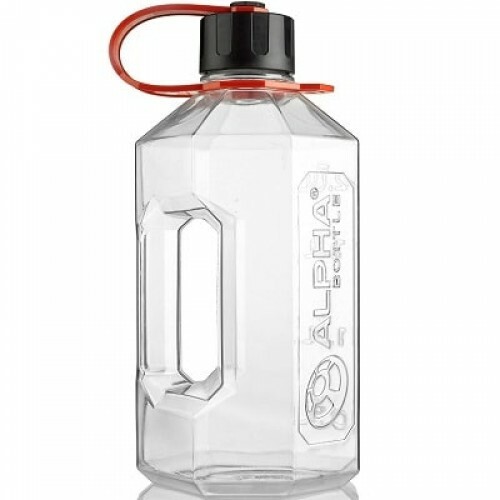 The Alpha Bottle XXL features a silicone seal which ensures the Alpha Bottle XXL is 100% leak-proof, combined with a heavy duty rubber strap and it's huge 2400ml capacity, the Alpha Bottle XXL is the ultimate accessory to keep you hydrated.